The boat. Peregrine originates in 1911 based on a boat called Seabird, famous as the second American yacht to circumnavigate the Earth. Twice. Seabird was just 26 feet, very well designed for it’s purpose. Peregrine is relatively spacious at 45 feet. Built of Philippine Mahogany, she is a very comfortable ride for the Bay and beyond. Captain Stephan Sowash has over 40 years of experience sailing the San Francisco Bay. He and his Fearless Crew put safety first and promise to provide you with an experience to remember. 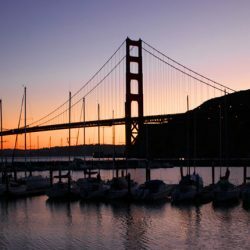 View magnificent sights including the Golden Gate and Bay Bridges, Angel and Alcatraz Islands, the waterfront of San Francisco and/or Sausalito. 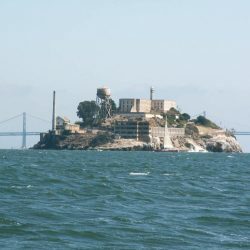 Wildlife abounds in San Francisco Bay. You will often see Bay porpoises, sea lions, seals and pelicans on your charter. We pay great attention to the details that make your yacht charter a personal adventure. It’s all about your particular taste and comfort, from our great cuisine to refreshments, we strive to deliver the experience that you have in mind. 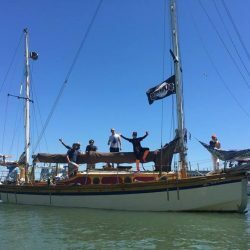 Want an authentic sailing experience? 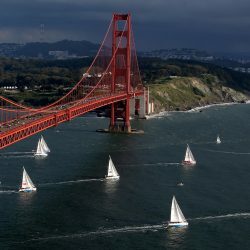 Let’s head out the Golden Gate Bridge to experience the excitement of open-water sailing. 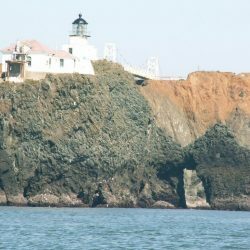 Charters to the Farallones can be arranged for those who seek a blue water adventure. What an ideal team building exercise, sailing on the Bay. You can have a total hands on experience sailing the ship,with our crew to back you up. We welcome participation, while keeping you safe. 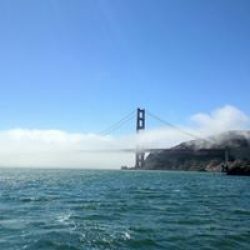 Sailing San Francisco Bay, what a great way to celebrate a birthday, anniversary or to show a friend The City from a great point of view. We have hosted bachelorette parties and wedding proposals, a very romantic setting to pop the question. 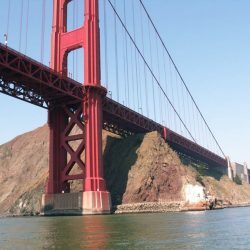 Sail the San Francisco Bay on Peregrine, a 45 foot wooden Yawl, custom built from Philippine Mahogany in 1946. She is a spacious, smooth riding classic. One of a kind on the bay.